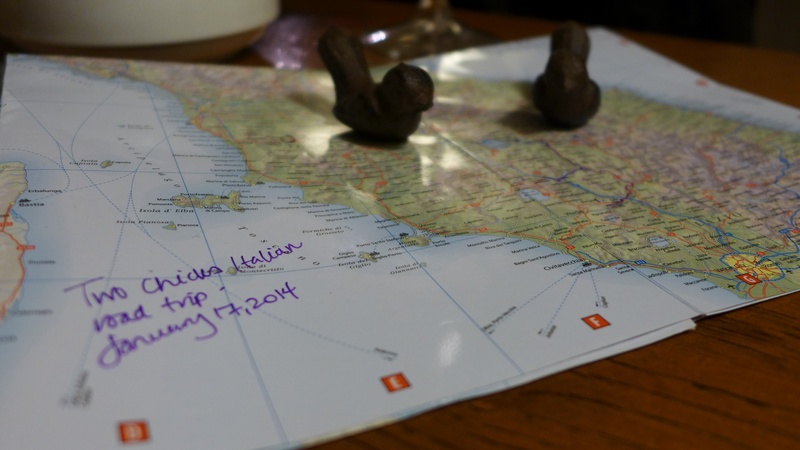 Home » Uncategorized » Two Canadian Chicks Italian Road Trip…day one…. Two Canadian Chicks Italian Road Trip…day one…. 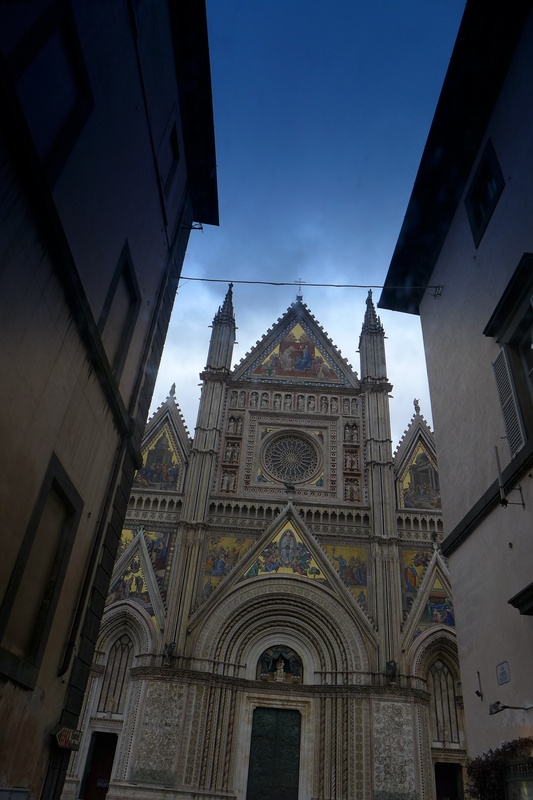 Our story begins on the precipice of Orvieto…our hired Mercedes Benz on the edge of Piazza del Duomo. 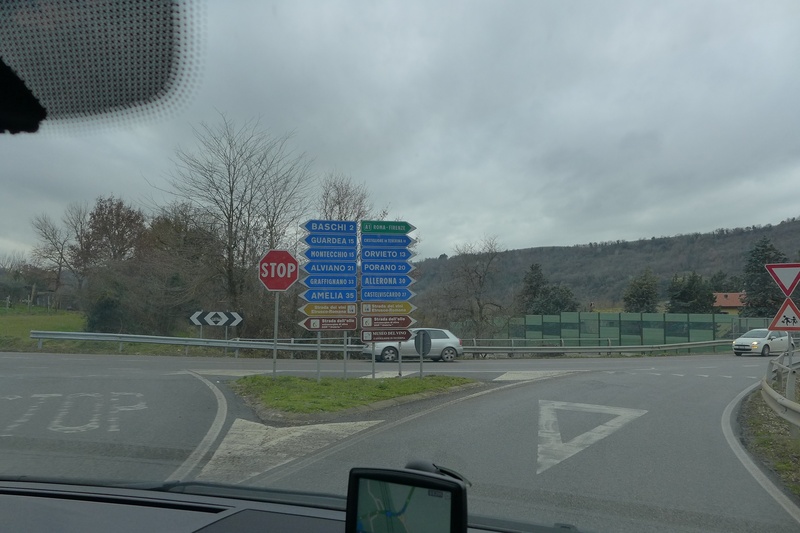 Let’s rewind…allora…the two Canadian chicks decide to explore the Italian countryside by car…we hired a Mercedes Benz from the local auto dealer with the assistance of an Itaian friend for translation. 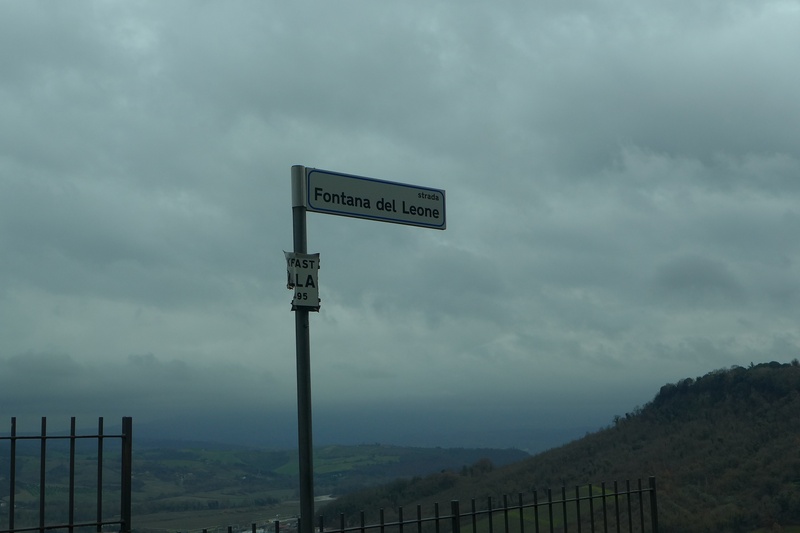 I quickly rediscovered my passion for driving a car with manual transmission and set out toward Pienza. 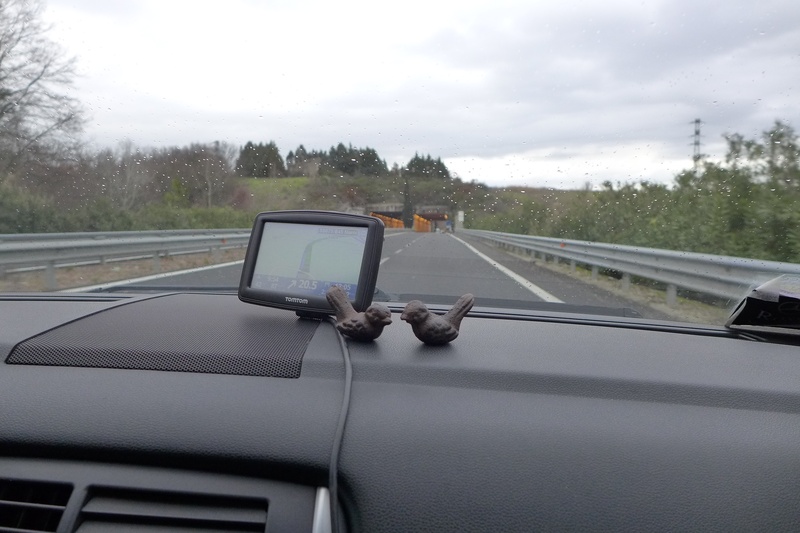 Our Aussie GPS “Kenny” lead us on a long and winding road which we happily embraced. 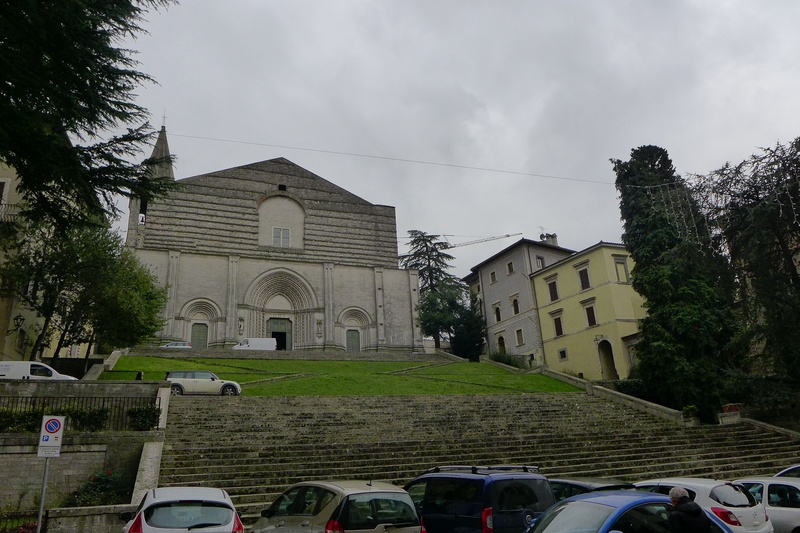 Our route took us through Todi, where a shoe store caught my friends eye as I was driving so we had to stop! A few photos and a fabulous pair of Italian leather boots later we set off for Orvieto. Changing the course of our journey, our day and possibly our lives forever. We set off and Kenny directed us to take a sharp right…we turned….as I said ‘this does not look right’…there was no turning back, we stopped within 50m and my friend got out of the car to see where the hell this road would lead us…seriously! She disappeared through the arch and when she returned she said ‘turn around’ …my response, considering I had a major fear of heights until 2012 and haven’t driven a car in a few months, and here we are on a major ridiculous decline, I could not see the road ahead, I responded ‘No! I can’t!! !’ Meanwhile a little blue car comes up from nowhere and drives by us, so we know this crazy road leads somewhere. 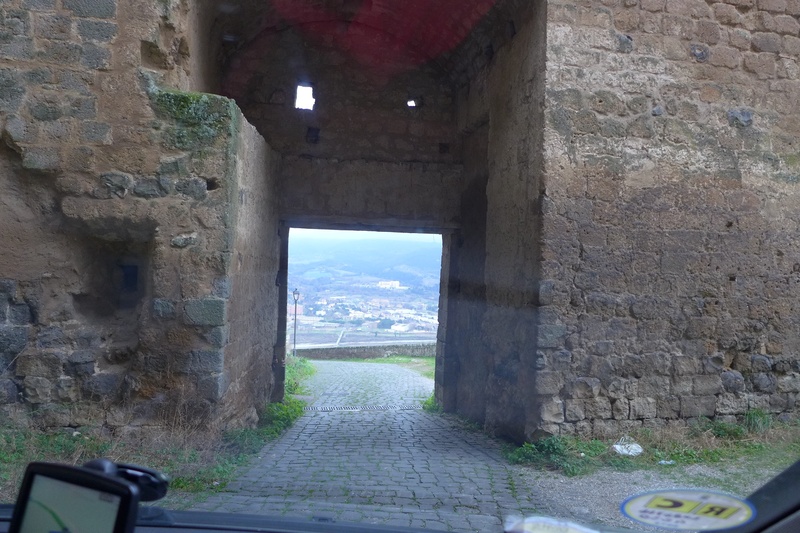 She does her best to encourage me and I drive down the moss covered cobblestones through the arch to the T in the road. Which was the edge of a cliff, which cannot be referred to as anything other than a cliff. We contemplated two things at this point, fear and impending death or turning the car around. We soon realized that turning the car around was not a possibility. My friend surveyed the scene a second time, when I asked her to drive and she declined having not driven this car before and not having driven a stick since France several years ago. Instead she offered praise in Italian as I began to descend down the hill to the left toward the first hairpin turn…no, impossible this is a 3-4 point turn with a damaged fence on the edge…I stopped the car on this insane corner frozen with fear and said ‘I can’t do it!’ and my friend and I changed seats…this is Trust to a level most people would never understand! Allora…the following is my friend telling her experience…I took the reins of our Benz, let the park brake go, and exuded confidence that I certainly did not feel!! I know my friend saw the broken fence and knew that I could never make the turn without reversing at least twice toward the mountain. After a 4 point turn revving our poor Benz like it was my motorcycle we started down again, without injury to us or the Benz. It wasn’t over, Kenny had calculated the quickest way down the mountain failing to recognize that we are not billy goats!! Once we got to the bottom, we looked up in awe at how far we had come! Literally. 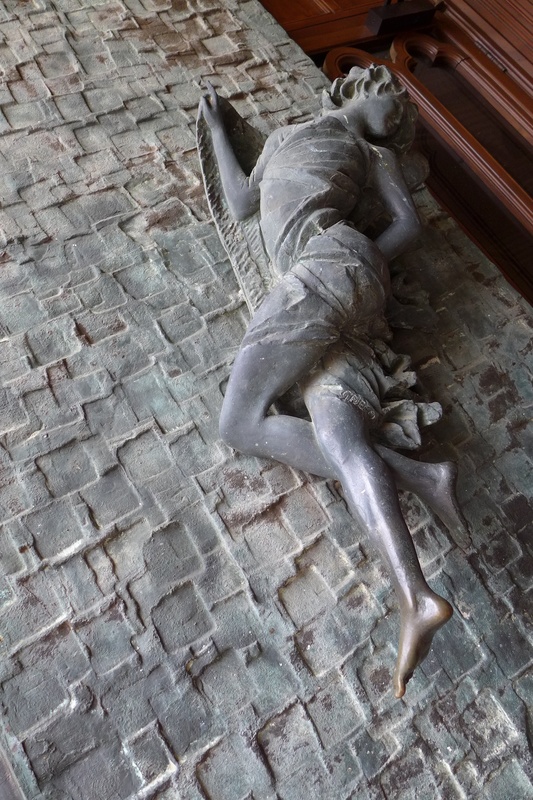 We then continued on to Perugia, where we found ourselves in another bit of a quandary. 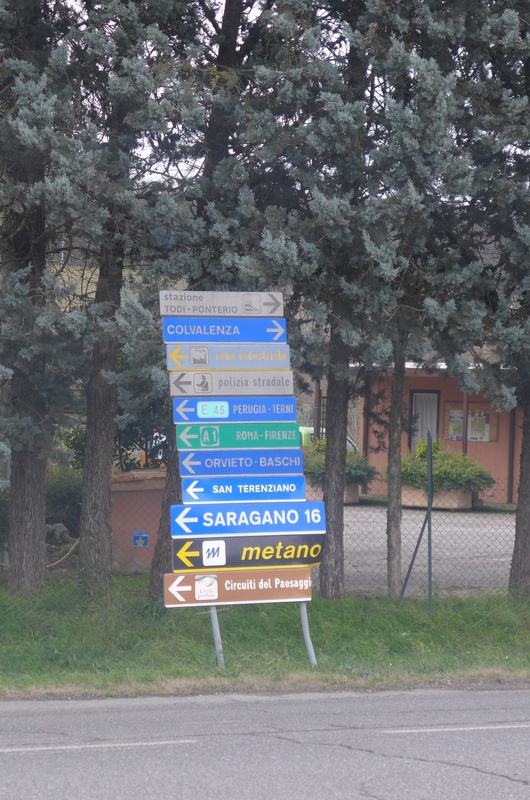 And then we found ‘saint’ Alessio, once again we trusted Kenny and followed him to the end of a teeny tiny road. Why didn’t I stop? Good question. Allora…my friend in her broken but getting better Italian asked Alessio what he would do, God love him, he offered to drive. And we gladly, greatly and exuberantly accepted! Poor guy. He got us turned around (the posts move!! ), back down and actually drove us to the parkade of the town centre and escorted us up the escalators. We are sending Alessio our gratitude and promise to pass it on. 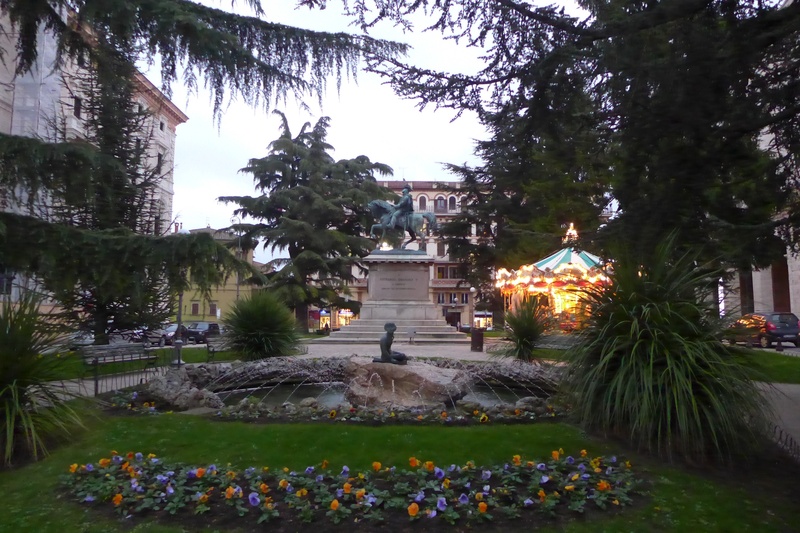 A quick stroll through Perugia. Some Baci chocolates from a salesman with no personality. 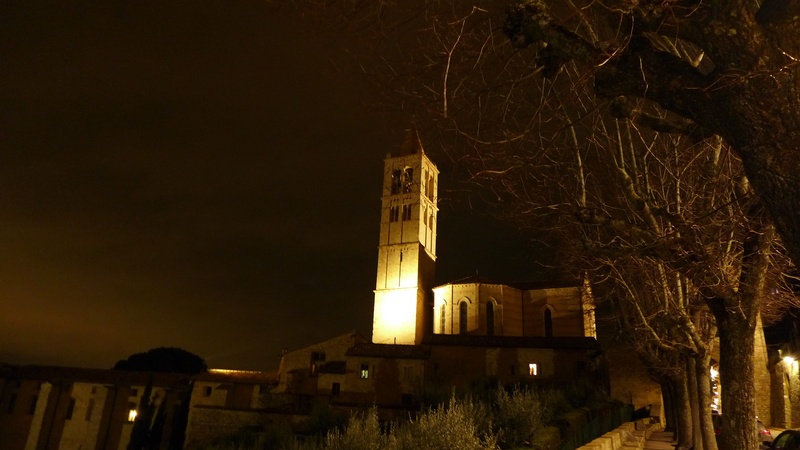 We set off again in the dark in our hired Benz for Assisi, our destination for the night. Lesson, use an address, especially when you have it! We made it to centro where it was smooth sailing. We learned today that there are keys to life that we feel apply to every day. 1 ~ Trust. You never know when someone will have your life in their hands. God love those who we know we can trust with our lives. 2 ~ Kindness. The kindness of an absolute stranger. He saw the fear in our eyes and took the wheel. We are eternally grateful to the kindness of a stranger. It reminds us to always be kind. Kindness can never be underestimated. 3 ~ Never wholeheartedly trust technology. Sorry Kenny! in the end all is well and we enjoyed a lovely dinner and sagrantino wine in Assisi.